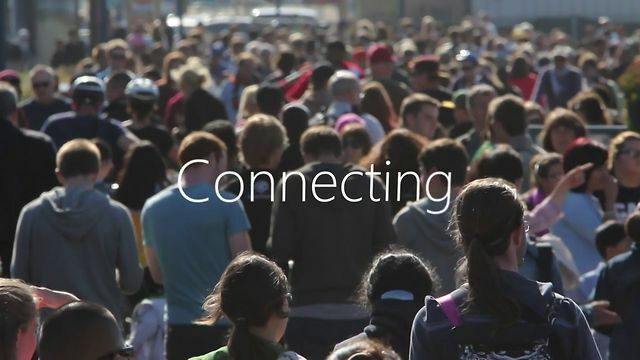 Urban Gardening is taking root across the world. 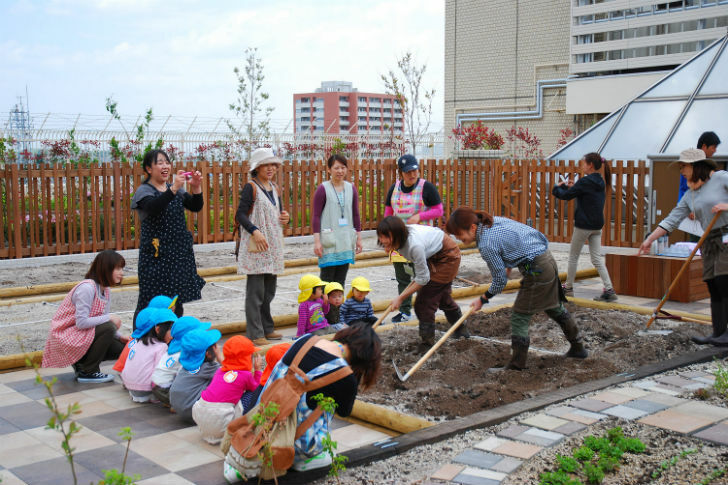 In Japan, an urban agricultural project called Soradofarm has created five gardens located throughout the country. 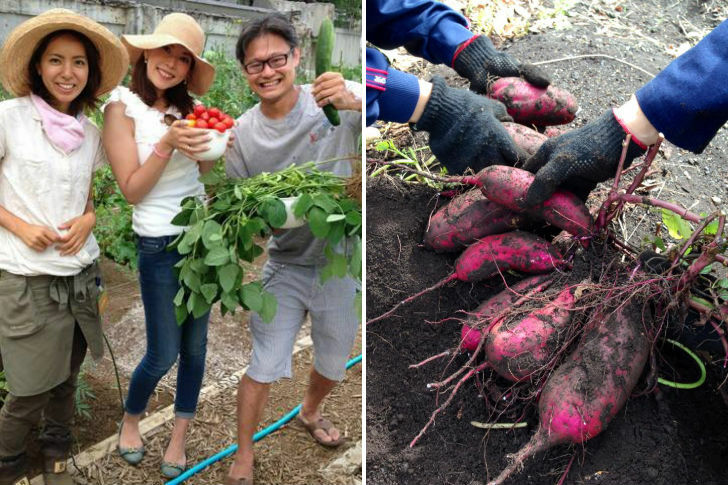 The largest is Machinaka Vegetable garden, which grows on the rooftop of the busy train station JR EBisu in Tokyo and has been recognized for its success both locally and internationally. 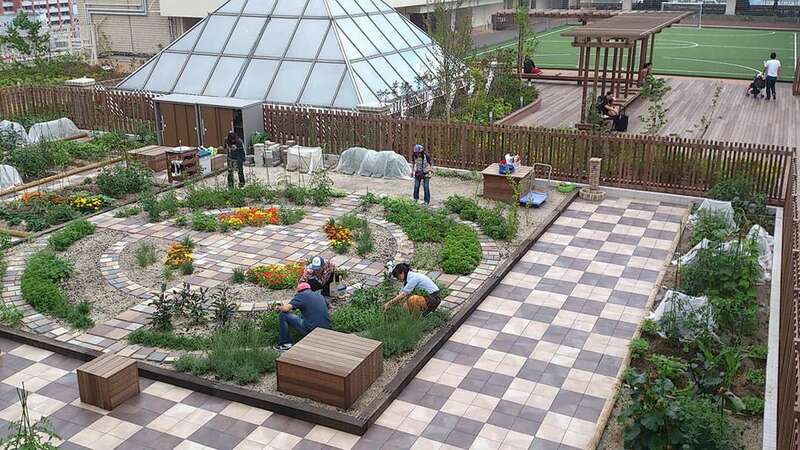 The Machinaka rooftop farm provides a place to relax: it’s a space that balances the hectic Japanese city of long commutes, long work hours, and little space. While other urban gardens focus on food politics and the benefits of local, organic produce, this particular garden—while taking these other ideas into consideration—leans more heavily towards the psychological benefits of a community gathering space and gardening. The garden is open to everyone, but because space is limited, renting a plot of 161 meter-square land requires a 100,400 yuan fee. 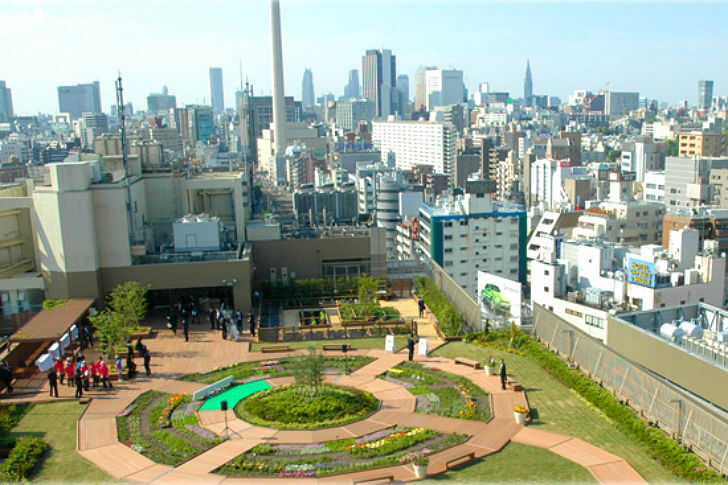 In a city as large and heavily populated as Tokyo, there is unfortunately not enough space for everyone to plant. The area nonetheless provides a quiet interlude for commuters waiting for the train and a welcoming environment for families to bring their kids. 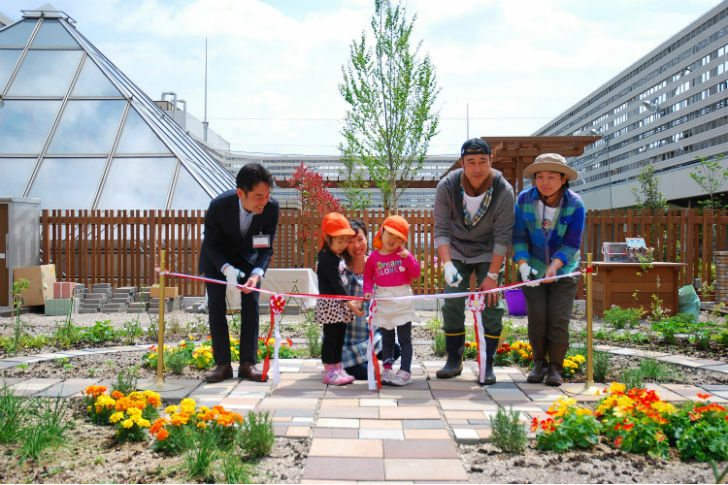 Due to the garden’s popularity, the project’s sponsor East Japan Railway Company plans to create more train station rooftop farms to continue encouraging peaceful community activities and to help slow down the chaotic urban lifestyle.